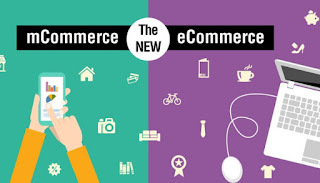 To gain bigger benefits of 4G's cutting-edge speed and connectivity, e-commerce are turning into m-commerce. As per one of the researches, the number of smartphone subscriptions in the country is expected to witness the significant rise of 810 million by 2021. Hence, to provide on-the go smooth sailing online shopping experience any time and any where, e-commerce retailers are going the mobile way. A study by telecom gear maker Ericsson reported that the young smartphone users in India aged between 15-24 years demand better data speed and coverage, and are even ready to pay premium charges for the same. 4G network enables these youngsters to stream music and watch videos online at dazzling speed. Not just this, uploading Facebook status, watching live TV, downloading heavy files and playing games, browsing and every other task can give you an enriched 4G network using experience. The study has also revealed that the average mobile data consumption per smartphone is expected to increase five times to 7 GB per month by 2021. In such a scenario, e-commerce industry can be a game-changer in providing their services on such a high-speed network. According to industry reports, 35% of traffic in online shopping comes from mobile phones. The number of smartphone users in India is estimated to grow at a CAGR of 35% in the next 6 years. Given that 60% of online sales are placed through smartphones and that penetration of smartphones is expected to increase to 440 Mn by 2020 from 74 Mn currently, there is a huge potential for the e-tail market pie to grow. Consequently, we expect online shoppers to increase from 35 Mn currently to 190 Mn by 2020. As per the latest available information with the government, mobile data usage has increased by 135% from 2013-14 to 2015-16. 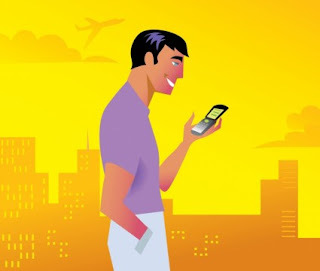 With the wide spread of 4G network which provides high-speed connectivity, data usage is bound to increase not just in urban but also in rural areas. Online shopping activity will gain a momentum in this situation where e-commerce players can gain maximum benefits. More traffic, more profits and more customers will be soon on the plate of e-commerce players who will adapt with the changing data network scenario in the country.